KineMatik was delighted to sponsor a number of the recent OpenText Innovation Tours in Europe. 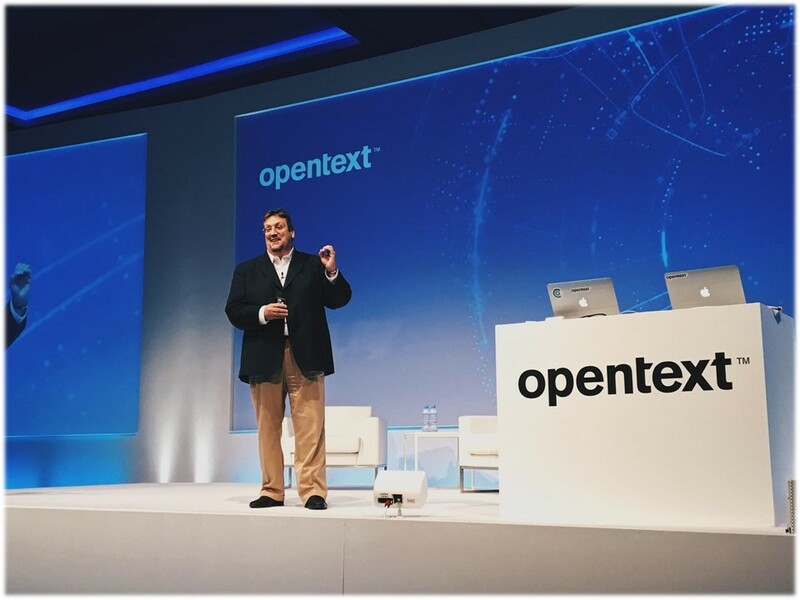 Partners and customers from all industries attended the event to see the latest product releases and hear about OpenText's views of the current trends in technology. Many of the OpenText senior executives were present including Mark Barrenechea, CEO & CTO; Muhi Majzoub, EVP Engineering and Information Technology; Patricia Nagle, SVP Chief Marketing Officer; and Savinay Berry, VP Cloud Platform and Applications. Three key topics were presented and discussed, and included: Intelligent and Connected Enterprises, Security Importance and Data Analytics.